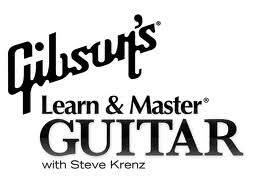 In this review, we're going to take a look at ArtistWorks online guitar lessons. Even if this site is not so popular as the other leaders of online guitar training education, for intermediate/advanced students can be an excellent alternative. Indeed, among the teachers of ArtistWorks you'll find masters like Paul Gilbert, Bryan Sutton, Andreas Oberg, and many others. Let's begin! ArtistWorks was founded in 2008 as an online music school by former AOL executive David Butler. He wanted to learn jazz guitar yet couldn’t find any decent teachers in person. When he went online he found it discouraging that he couldn’t get feedback for what he was doing, most online lessons were simply to one sided. He created ArtistWorks to provide music lessons for multiple instruments, not just guitar. When you first visit ArtistWorks you will find their site and format are not easy to use and it takes some time getting used to it. Is ArtistWorks a good fit for you? If you are a beginning guitar player, you should stick to sites like JamPlay and Guitar Tricks. However, once you start getting more skills and learning more songs it is smart to branch out and see what other online sites like ArtistWorks have to offer. ArtistWorks is very unique compared to many of its competitors. The main point of ArtistWorks is that it offers professional lessons and a video exchange. This video exchange is a pretty awesome idea that you don’t see very often online. Let’s say you watch a lesson on how to play a gypsy jazz riff, after you practice playing it you can record yourself and send it to the instructor to check out! That’s what the Video Exchange is all about, getting feedback on exactly what you are learning. That is as close as you can get to real life one on one lessons in the online world. You don’t have to necessarily always submit your playing to benefit from the Video Exchange, you can also watch the videos of other students to see what other players are doing right and wrong. That is about it for guitar lessons, they don’t have a ton to choose from. While they claim to be a site for beginning guitarists it really seems they would be better for students who already know some of the basics. Once you have the early aspect of the guitar down this site is a good place to go to start learning specific music styles. For example if you want to get going in electric rock guitar this site quickly jumps into the techniques you will need. The video quality is not as great as some other sites and they don’t have as many instructors teaching (they still have a few celebrities and well known guitarists though). However, you are still getting quality even if not quantity. Also like TrueFire, ArtistWorks does not have many specific songs to learn. If you want to learn certain songs your best bet is JamPlay and Guitar Tricks. Still this isn’t an awful downside because sometimes it is better to learn the basics and riffs of a genre as opposed to specific songs. Sometimes new music students get stuck on playing a specific song rather than knowing what that song is made of and how similar it is to other songs in its genre. ArtistWorks has no dedicated apps or extra tools, but they do have a popular Facebook community to go with their videos and forum. Plans and pricing can depend on whether you want a 3month, 6 month, or 12 month plan. Prices range between $24 and $35 a month, the cheaper being the longer you pay for. Of course the better the plan you get the more Video Exchanges you are allowed to submit to the teacher and the more videos you are allowed to watch of your fellow students. If you like this concept of being able to get feedback from your instructor and fellow guitarists, then it would be wise to buy the membership with unlimited Video Exchange access. Some of the courses offered may cost more beyond the membership, perhaps by the time you are reading this they may have changed that. At the end of the day ArtistWorks really can’t be compared to other guitar learning websites. They really have a limited number of lessons for beginners and advanced players. They don’t claim to have thousands of lessons of a huge variety or lots of styles and topics. They are also limited on tools and flashy extras. As far as lessons go they really have the bare minimum. However, for the right student it can be one of the best sites out there. The Video Exchange is almost like being in your own huge band, you are able to compare notes, mistakes, ideas, and more with teachers and all the other students. Along with the fact that they have a large social media offering on Facebook really gives the student lots of real time learning in the modern world. This is one reason why this site isn’t the best for beginners, at this point you really want to have the basics down. As an intermediate player with some confidence you will be able to use the Video Exchange to figure out exactly where your weakness and strength lies in your guitar playing. Regardless of any pros or cons of this site vs others, if you like the idea of the Video Exchange you absolutely should buy one of the memberships. You will find your guitar journey is a lot more enjoyable with help from others along the way. Not only will you learn from your teacher, but also from your fellow students! Besides going to their regular webpage here is the link to the ArtistWorks Facebook page! Go check them out today and see if they are the right fit for your guitar journey! This guide shows you the best online guitar lessons, strategies, and tools to learn the guitar online. Find the top guitar training methods for beginner, intermediate and advanced level..